I want to talk about a subject that many women struggle with - emotional eating. We don’t always eat simply to satisfy hunger. We also turn to food for comfort, stress relief, or as a reward. Unfortunately, emotional eating doesn’t fix emotional problems. It usually makes you feel worse. Afterward, not only does the original emotional issue remain, but you also feel guilty for overeating. Emotional eating can be what is keeping you from reaching your fitness goals. Learning to recognize your emotional eating triggers is the first step to breaking free from food cravings and compulsive overeating, and changing the habits that have sabotaged your goals in the past. Before you can break free from the cycle of emotional eating, you first need to learn how to distinguish between emotional and physical hunger. This can be trickier than it sounds, especially if you regularly use food to deal with your feelings. Emotional hunger can be powerful. As a result, it’s easy to mistake it for physical hunger. But there are clues you can look for that can help you tell physical and emotional hunger apart. Emotional hunger isn't satisfied with a full stomach. Physical hunger stops when you're full. Emotional eating triggers feelings of guilt, powerlessness, and shame. Eating to satisfy physical hunger doesn't make you feel bad about yourself. 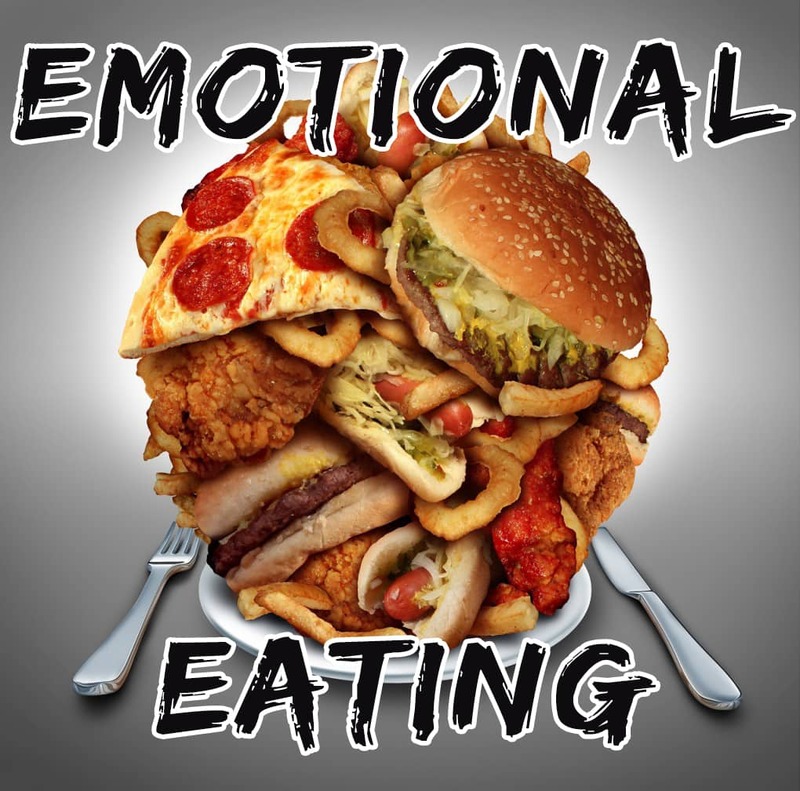 Common causes of emotional eating are: stress, attempts to stuff down uncomfortable emotions, boredom or feelings of emptiness, childhood habits or social influences. If you’re bored, read a good book, watch a comedy show, explore the outdoors, or turn to an activity you enjoy (hiking, playing the guitar, shooting hoops, scrapbooking, etc.). This week, I encourage you to think about your hunger and to evaluate if it is truly physical hunger you are feeling or emotional hunger. Bottom-line, I don't want you to be physically hungry. The should always be something that you can eat - even if it is just "free veggies".